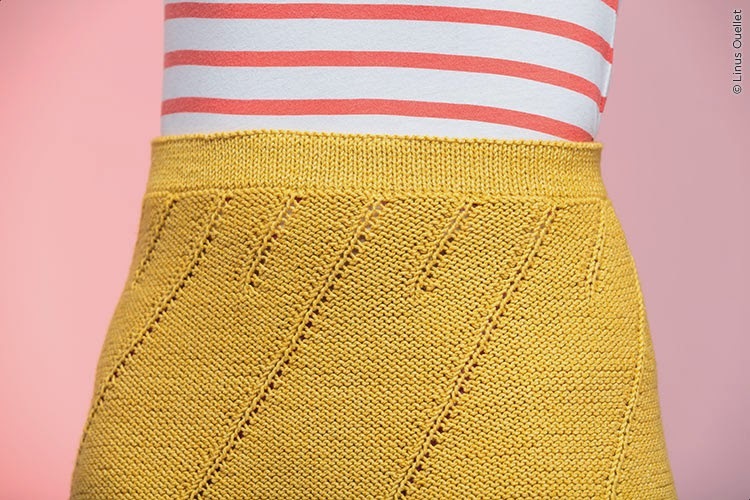 Knitted skirts…you either love them, or hate them. But no one can deny that their popularity is on the rise. Case in point – Demeter by Alison Stewart-Guinee from the newest issue of Twist Collective. The pattern is written top-down in one piece (have I ever mentioned on the blog before that I hate seaming and love making things in one piece?). The only trick to this pattern is that the correct side is reverse stockinette, so there is more purling than knitting…but think of all the purling practice you will get! I really love that the ‘stems’ of the leaves are on the diagonal. It helps give the illusion of the skirt being knit on the bias…which is extremely flattering for most body shapes. The picot bind off is the perfect finish to the skirt. It helps ensure that your bind off has a little extra give, which will complement the a-line shape of the skirt. 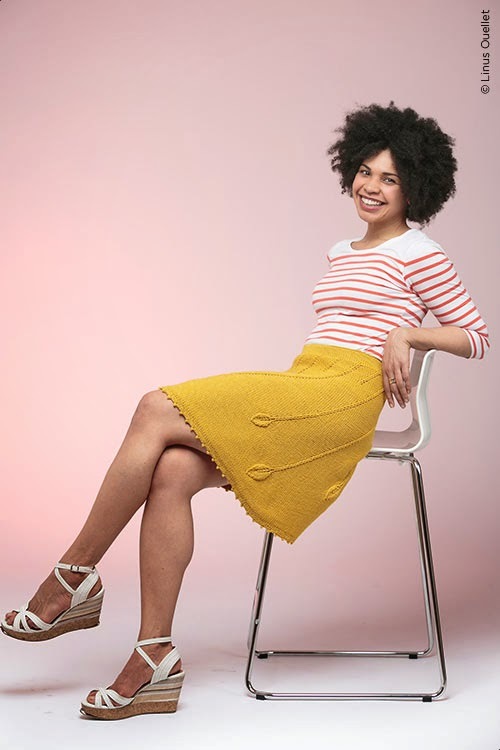 I think this could be the perfect knitted skirt. I can see it now with a long sleeve t-shirt and some flats. It would also be great in the summer with a tank and some sandals. And you don’t dare pack it up come fall…just throw a pair of tights and boots on underneath and pair it with a long sleeve blouse and a jacket. Photos courtesy of Twist Collective, Linus Ouellet, photographer. Wohh! i like this! thank so much!